While I have Fusion 360 I tend to use Vectric’s Aspire (http://www.vectric.com/products/aspire.html) when I am CNC carving, laser engraving, or CNC milling on my larger systems. Has anyone created a post processor file which will run with Aspire? As far as the controller software I was thinking of controlling the SnapMaker directly from Aspire or from Snapmakerjs. Is there a "GCode Reference manual for the SnapMaker CNC machine? Hi @jokeefe Snapmaker Firmware base on Marlin firmware . Which you can find reference here http://marlinfw.org/meta/gcode/ . CNC file is too large. I sent you via email. @whimsycwd David Charlotte at Vectric Support, after reviewing the GCode files you provided and a couple I had generated, recommended that I try using the Grbl (mm) post processor file. She recommended that I test this post processor first, and review the GCode before loading it to cut to make sure it all looks correct. 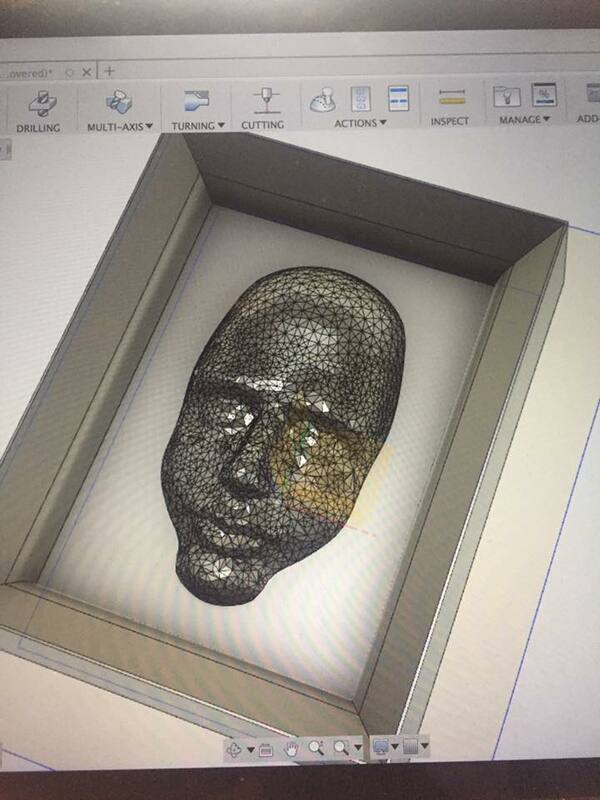 I have used Aspire to generated a set of GCode files which I am testing. @whimsycwd David I wanted to give you an update on where I am on working on using Vetric LTD’s Aspire (http://www.vectric.com/products/aspire.html) to generate G-Code files for use by SnapMaker CNC Module. As I had previously reported Charlotte Pullen, Tech Support, Vetric LTD, after reviewing the sample G-Code files that were provided had recommended I generated a G-Code file using the ASpire 9 Post Processor listed as Grbl (mm). 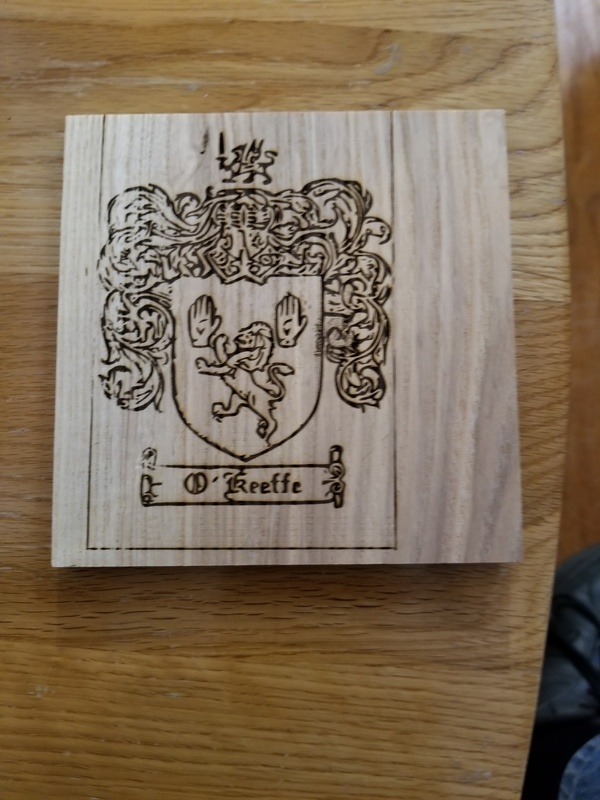 I used Aspire 9 to create an 80mm x 80mm engraving to run on the SnapMaker by importing a JPEG of my family crests and converting the B&W image into a 3D model with both roughing and finishing tool paths. While only used a single spiral straight bit for the entire project Aspire wanted to create 4 tool paths and instead of fighting the software I saved the G-Code as a roughing file and a finish file. SnapMaker requires that the G-Code files have a file extension of .nc for the CNC controller to recognize them so I rename the files to 3D Roughingl - Copy.nc and 3D Finishing - Copy.nc. To execute the files I chose to use the Windows based Snapmakerjs-2.2.2-win-x64.exe program instead of the standalone LCD controller/SD mode so I would have the ability position the tool piece and abort execution if something happened. Loading the G-Code into Snapmakerjs-2.2.2-win-x64.exe and 3D Roughing - Copy.nc went as I expected. I have include a picture of the work piece at the end of the run. 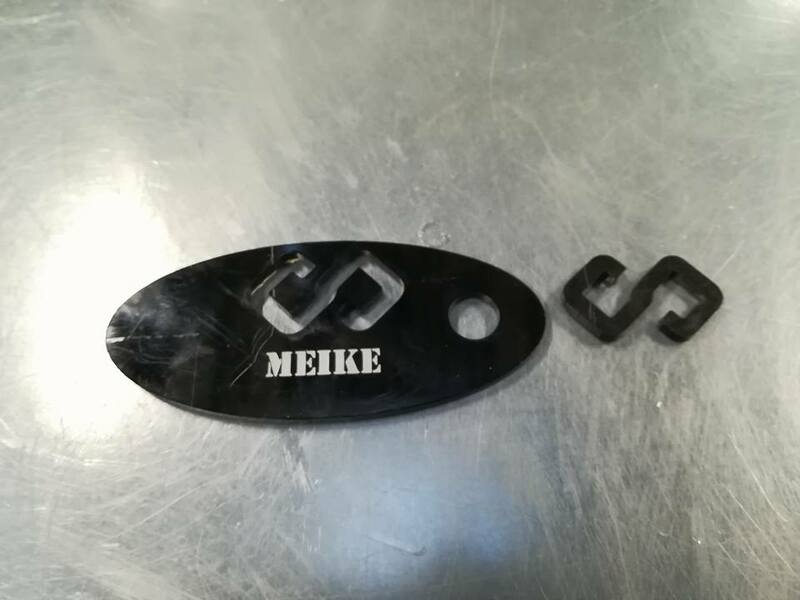 Execution of 3D Finishing - Copy.nc also went without any real surprises other than the finished workpiece had the same level of detail as at the end of the roughing pass. I suspect this is more a statement about my lack of proficiency at converting a picture to a 3D model in Aspire than the SnapMake to execute G-Code generated by Aspire. I need to work on refining the image to sharpen the image and the tool paths. Looking at the roughing toolpath simulation in Aspire the carving I ended up is fairly close match. how many software packages have you worked with…? @william.o.yates I have been working with various industrial CNC and embedded systems that use G-Code for over 2 decades. Many of the initial systems I worked with were for proprietary systems. During the last 10 years I have been working with the Vectric LTD suite of software as well as extensions to Open Source CAD tools to control the various CNC Routers and Laser Engravers I have in my rather large home shop. I am starting to do my research for software for that can handle CNC and I saw the Vectric application. Soon I am about to read about Mach 3 and then Simplify3D. Do you have any experience or knowledge of those applications? 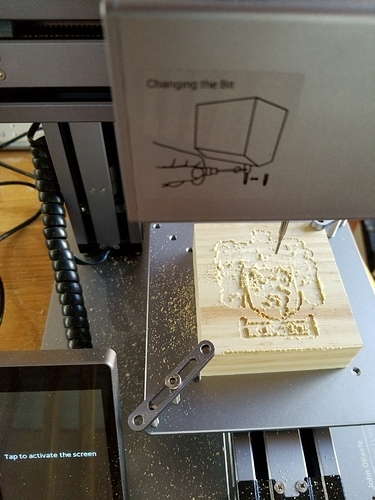 Doug While I have played with Simplfy3D some most of my CNC work with my larger machines has been with Vectric LTD’s Cut2D, Cut3D, PhotoVCarve, VCarve and Aspire. 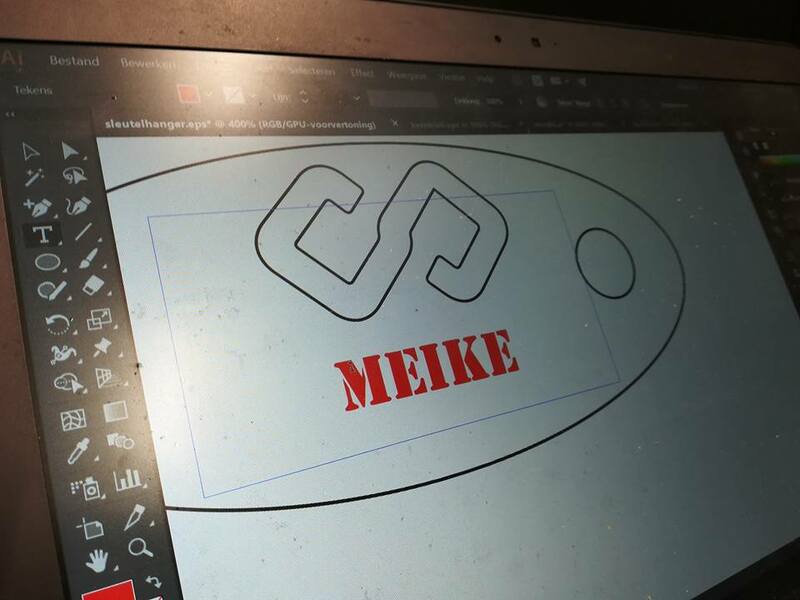 I have been using Vectric LTD’s software to develop the G-Code files for use with my Next Wave Automation CNC Shark HD4 CNC Router since 2010 so it was natural for me to experiment to figure out how to use Aspire to develop G Code files for the SnapMaker. Using Aspire 9 and the Grbl (mm) post processor file I was able to create CNC files that worked with the SnapMaker CNC Module. It will be interesting to hear from other experienced users what they use. As for this newbie the KISS principle is high on my direction. Success, over the last month as a newbie I have been using the laser and the 3D device heads with great results and of course heaps of learning. Today, I ran up the CNC for the first time and used the Snapmaker Dragon 2D Carver.NC test file on a piece of MDF…worked a treat! 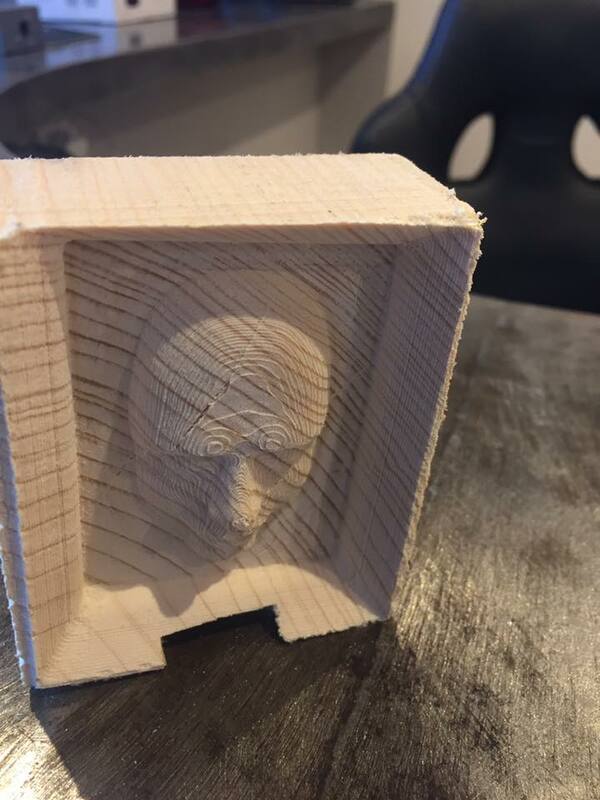 Now I have to learn to use Fusion 360 to create my own carvings…more learning. If there are any simpler applications to use I would welcome any advice. Can you please provide the specifications of the the set screw (we call grub screws) I will try and source a few locally. I want to keep having fun! Those are more likely to strip out easily as they are stainless. It may be better to get Alloy screws instead. Just my opinion. I will be go out later this morning to buy some and I see if they have alloy versions. Get some wrenches to go with them. Maybe the ones SnapMaker ships aren’t so strong? I evaluate the Vectric V Carve Pro and wanted to test the output. Did you use the post processor file provided by Vectric or another version? I used the Grbl (mm) post processor file provided by Vectric with Aspire 9.